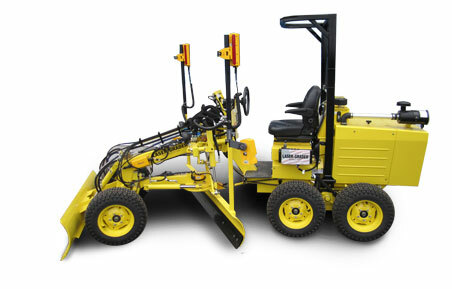 The Laser-Grader offers an unusual blend of grading accuracy, versatility and production capability. 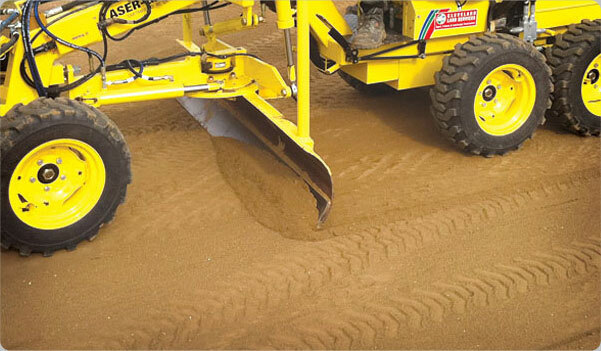 In addition to achieving a uniform surface, the Laser-Grader will also increase productivity, improve material yields and reduce your overall operating costs. If accuracy is a requirement in your line of work, the Laser-Grader, equipped with an automated grade Control Package, has no equal. 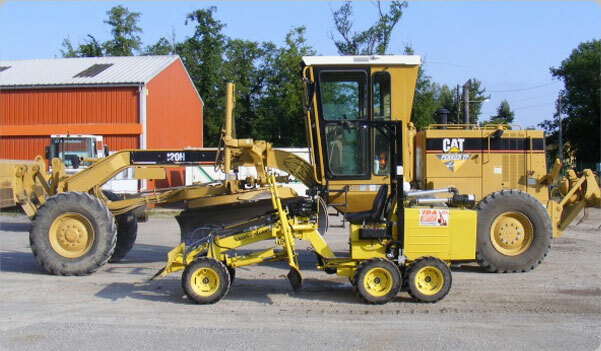 The Laser-Grader is a manually driven, diesel powered compact grader that steers conventionally, and articulates to turn in as little as a 9 foot (outside) turning radius. 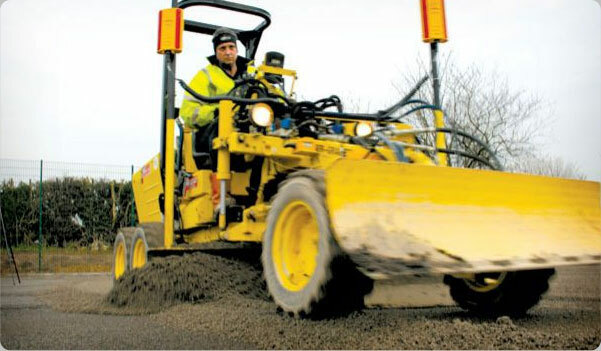 It's hydrostatic transmission and six wheel drive system combine for maximum pushing power at slower travel speeds making the Laser-Grader well suited for close grading around columns, footings and utility roughs. When working with material sized of 3/4" or smaller, the Laser-Grader is accurate to +/- 1/8". In open areas such as synthetic or natural grass playing fields, the Laser-Grader can easily finish grade in excess of 50,000 square feet per day. The Laser-Grader weighs 3400lbs, eliminating the uneven compaction typically created by the wheels of heavier equipment, and making transporting the machine much easier than that of a larger machine. Plus, the Laser-Grader fits through a 5-foot opening, making it suitable for operation inside framed structures.